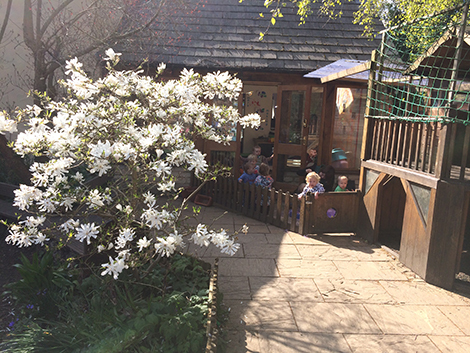 One of the biggest surprises for people entering Acorns for the first time is the abundance of space hidden behind the unassuming gates. 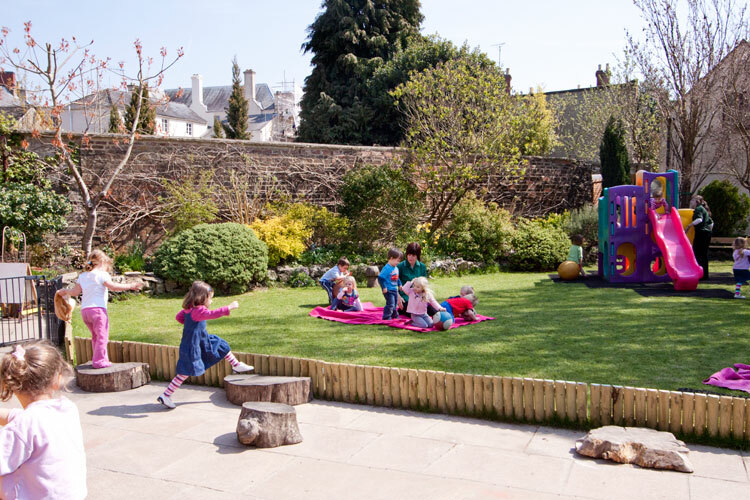 Between its front entrance on Park Street and its secret back entrance on Castle Street lie three secluded, safe, walled and mature gardens. 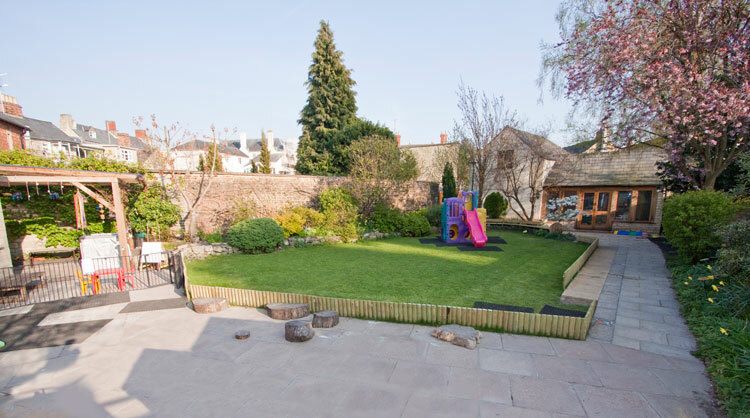 The Main Garden includes a large expanse of lawn, patio and the tree houses. 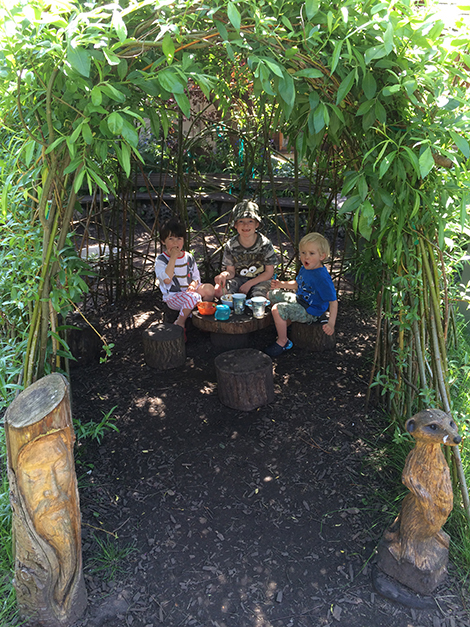 Our natural soil digging pit is in the Hobbit Garden, so named for the Hobbit House nestled romantically underneath the magic Conifer. 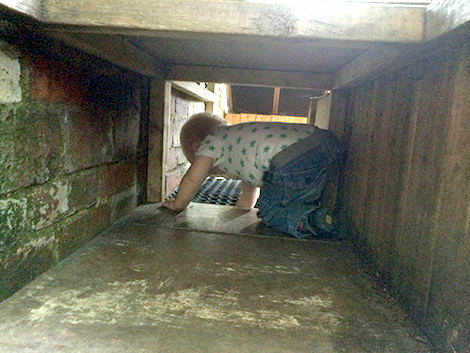 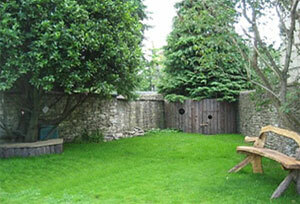 Behind its child size door lies a treasure trove of natural seating and an old pirate ship’s wheel. 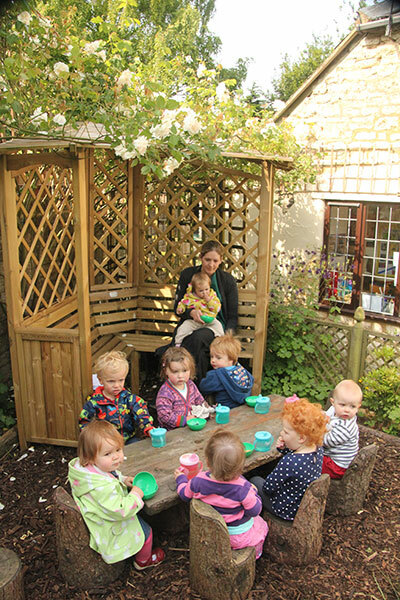 Staff can enjoy their lunches in the splendid isolation of the baby garden inside the insulation of summer house which doubles as an art room. 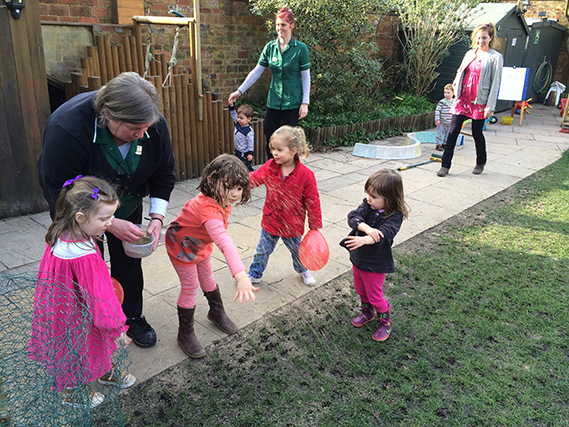 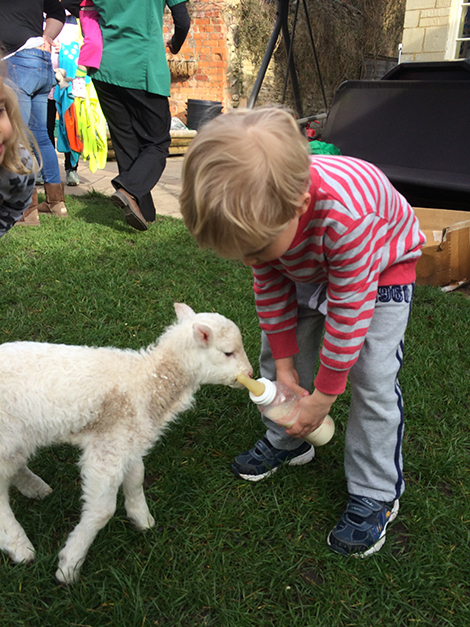 Children helping to seed the main lawn. 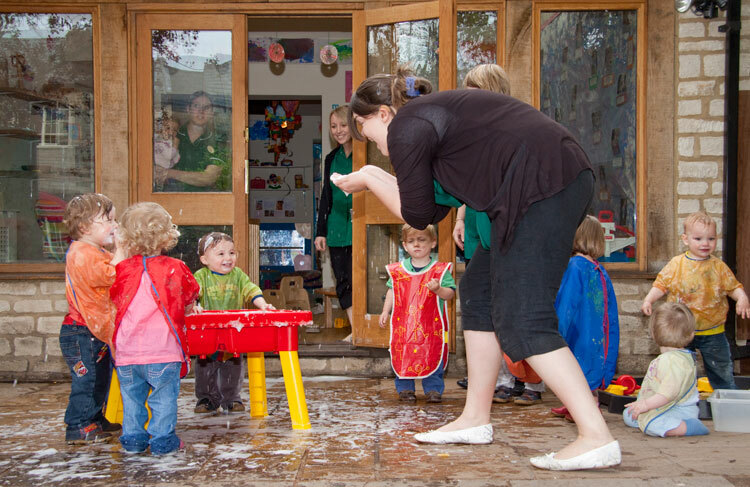 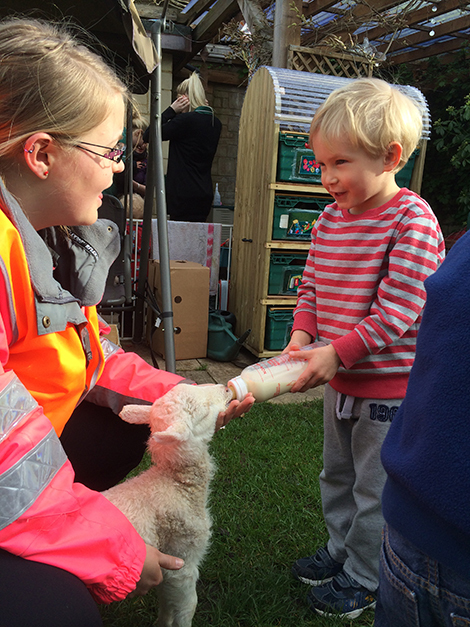 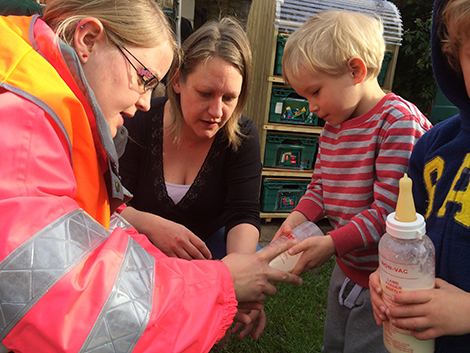 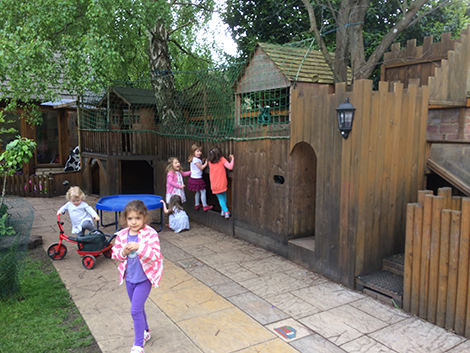 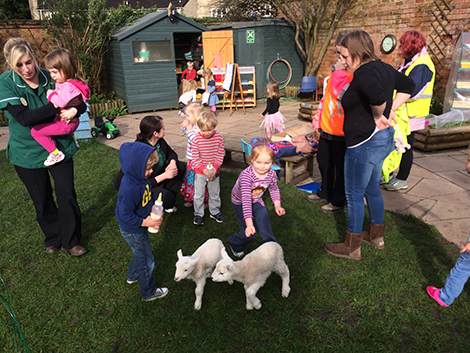 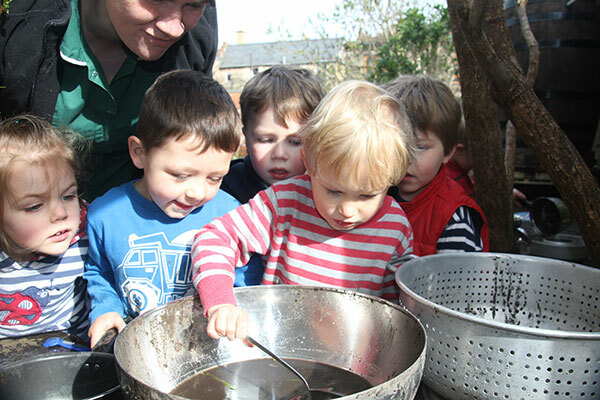 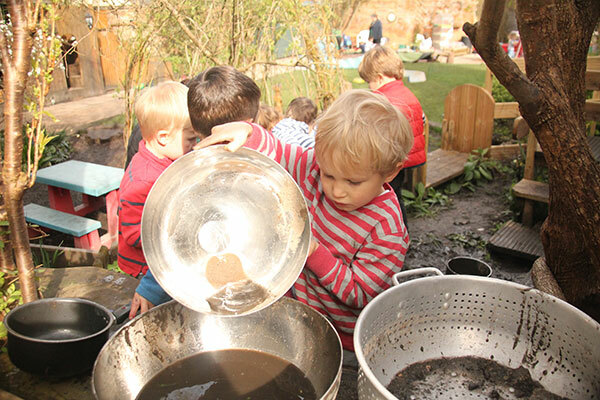 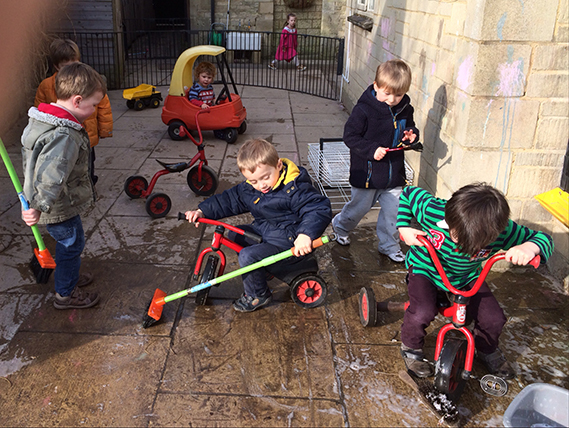 Busy at the car wash.
Children enjoy role play, experimenting with textures and learning to cook in our Mud Kitchen. 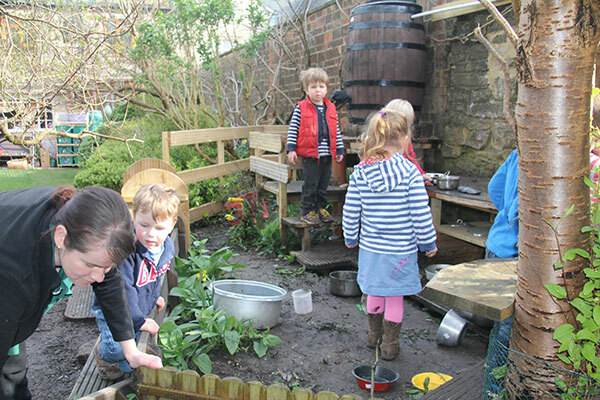 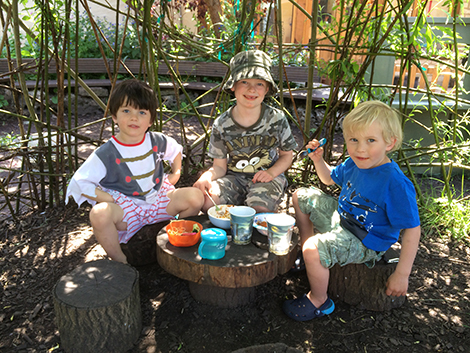 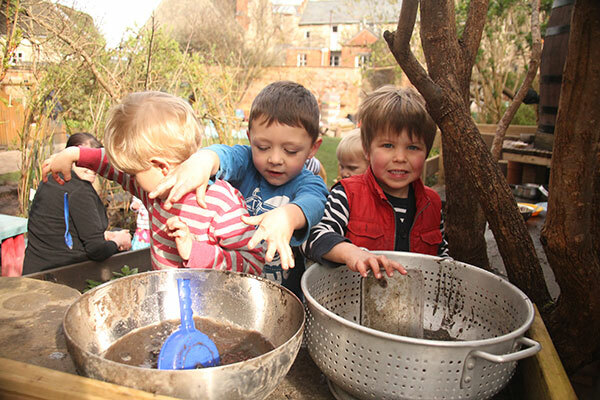 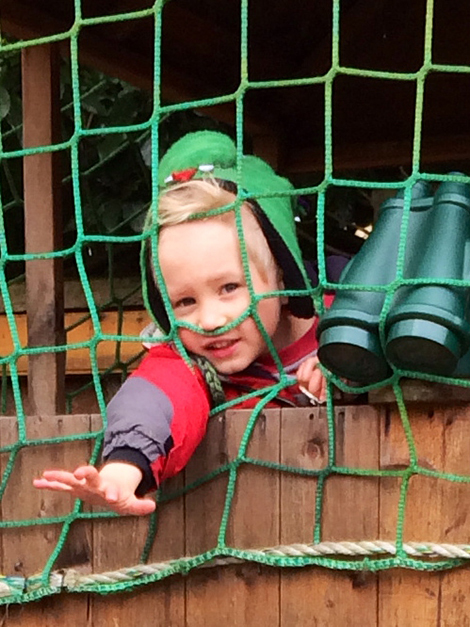 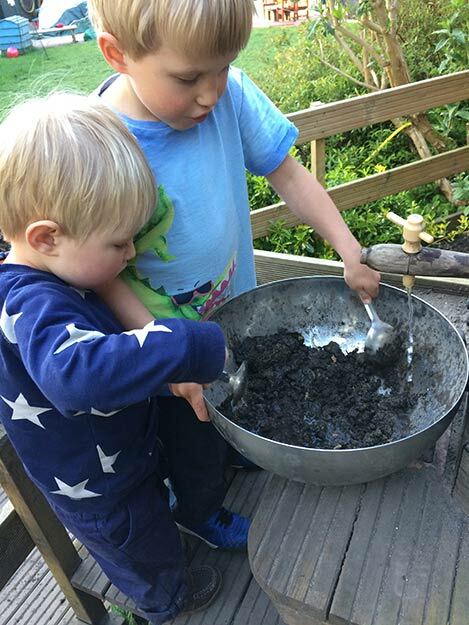 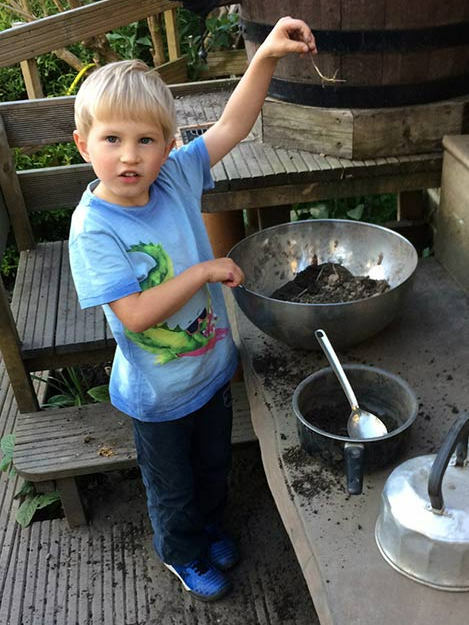 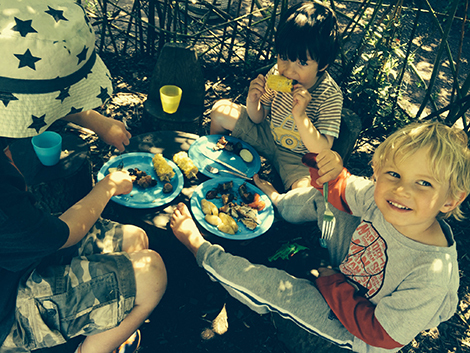 We carefully designed the mud kitchen within the environment to maximise possibilities for exploration for all ages. 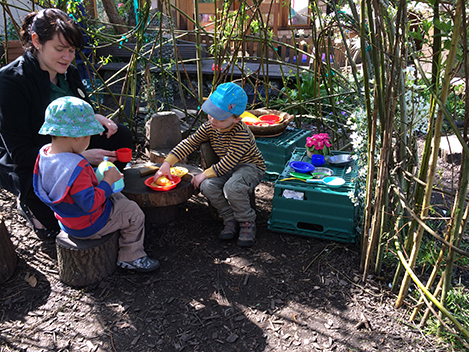 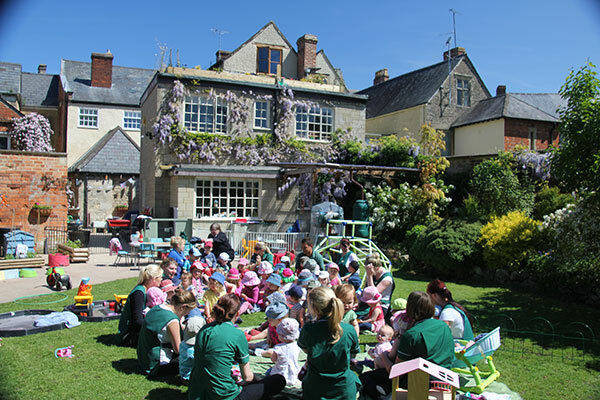 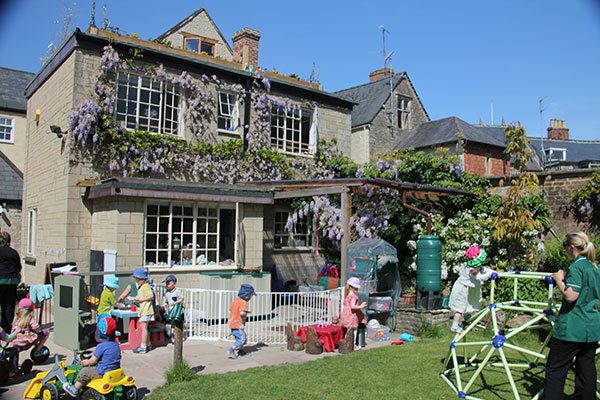 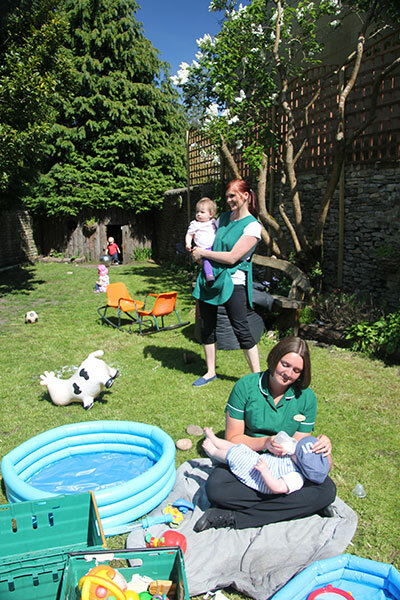 The Willow House has been a tremendous success for all sorts of role play, story times and other activities and even real tea and snacks. 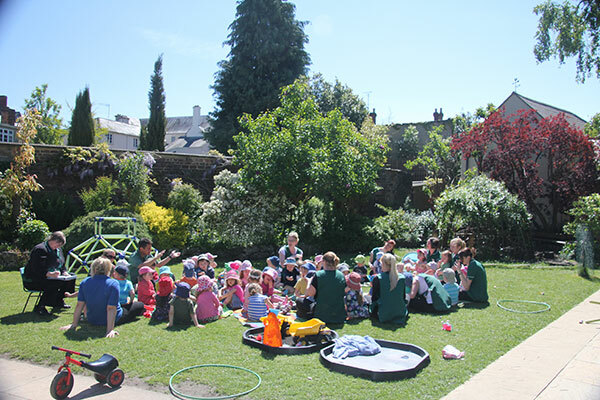 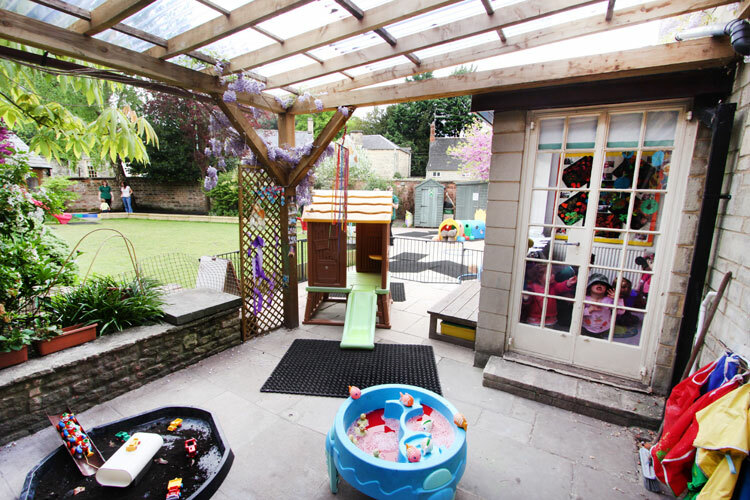 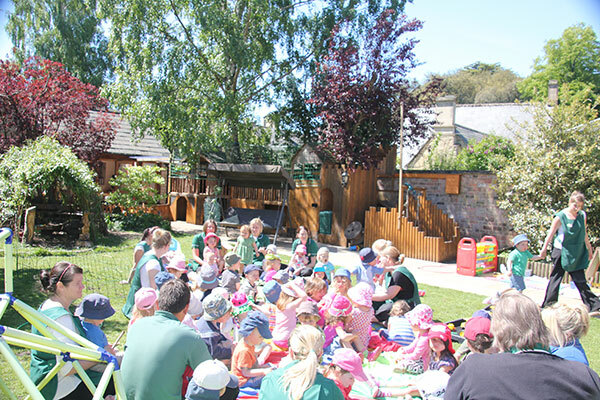 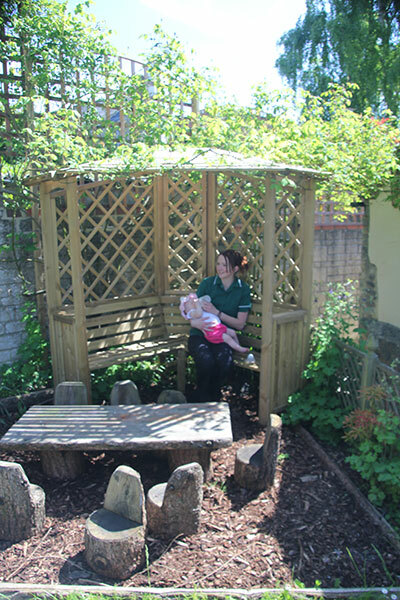 This is a beautiful, calm, serene and shady area for the children to enjoy. 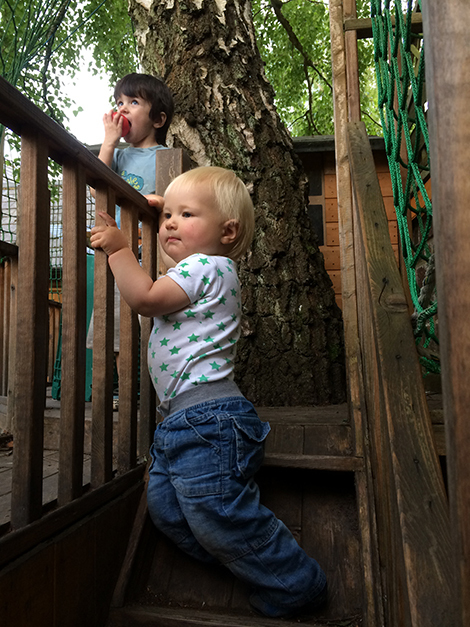 Two sentries stand guard: the meerkat symbolising the curiosity of youth, the old man the wisdom of age. 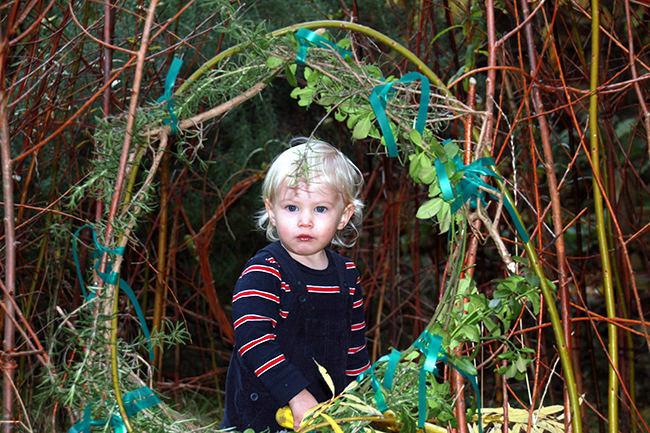 Recently, we have strengthened the base with extra willow and added several evergreen climbers to provide some green during winter months. 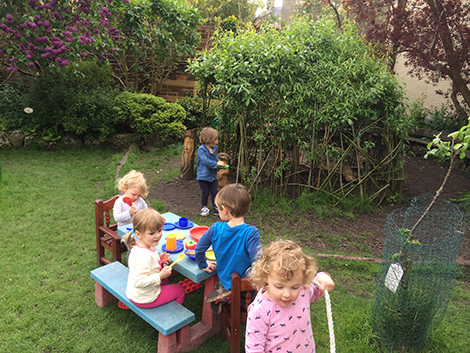 If all goes to plan, one should flower in spring, another mid summer and another in autumn. 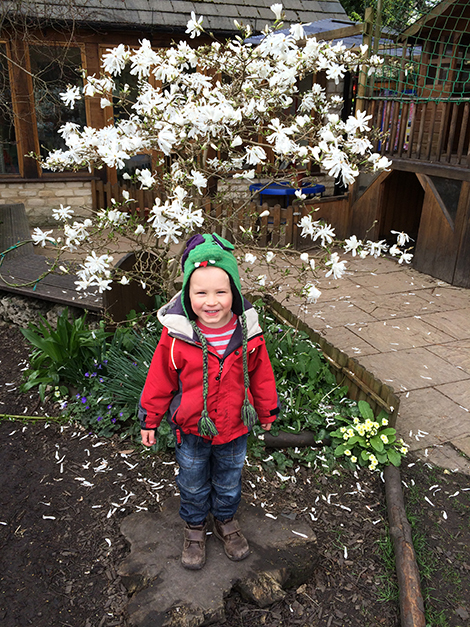 The lilac in the majesty of its spring bloom. 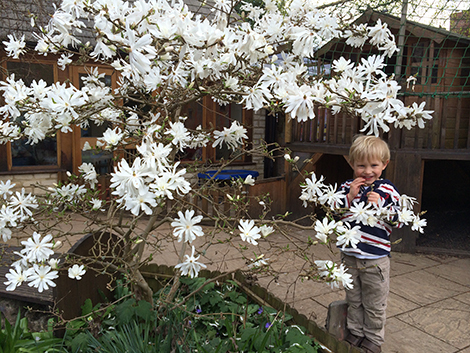 The magnolia is one of the first to bloom: heralding the onset of spring. 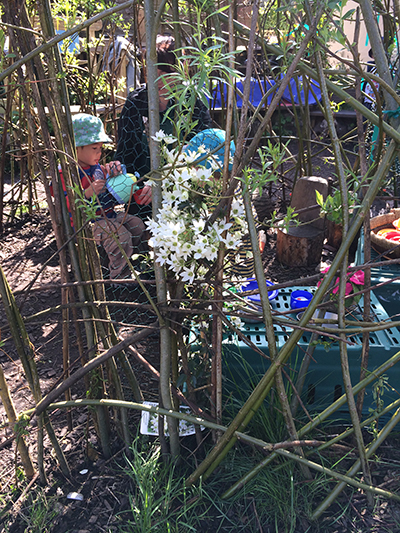 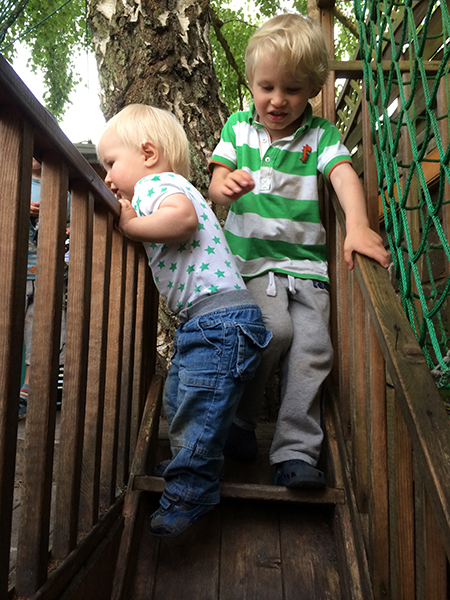 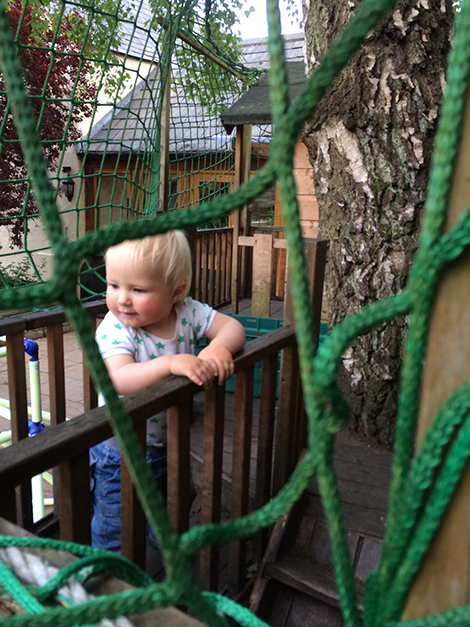 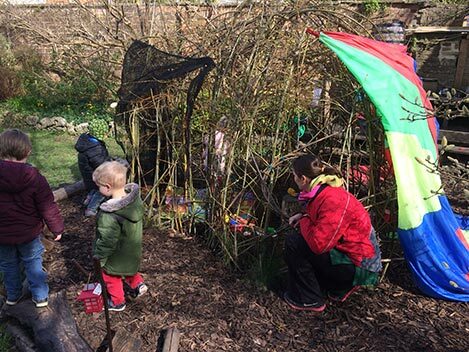 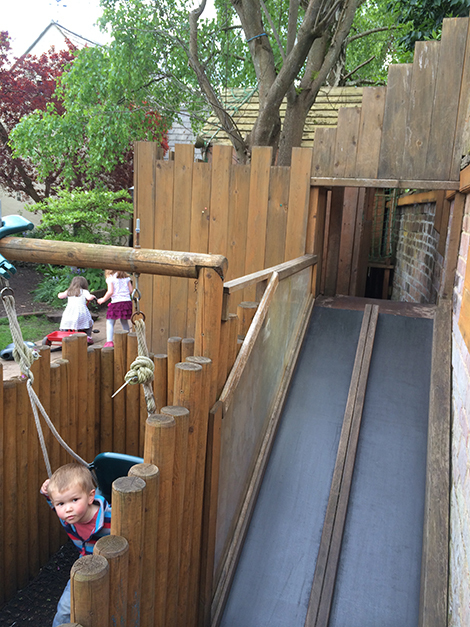 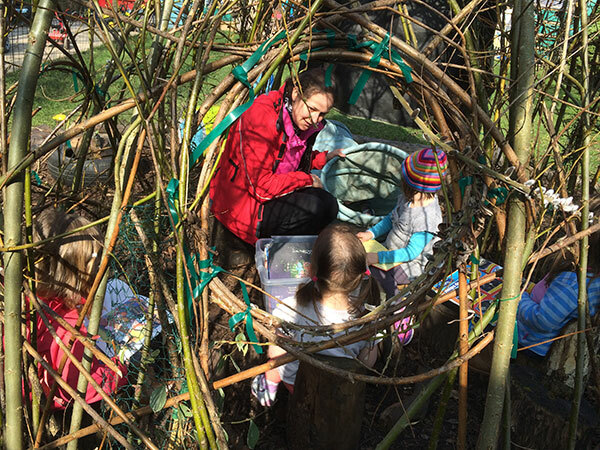 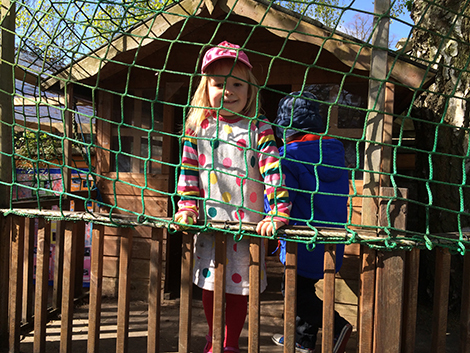 We spent a great deal of planning time working out ways that the Treehouse could be varied, challenging and fun but also safe for babies and preschoolers alike.